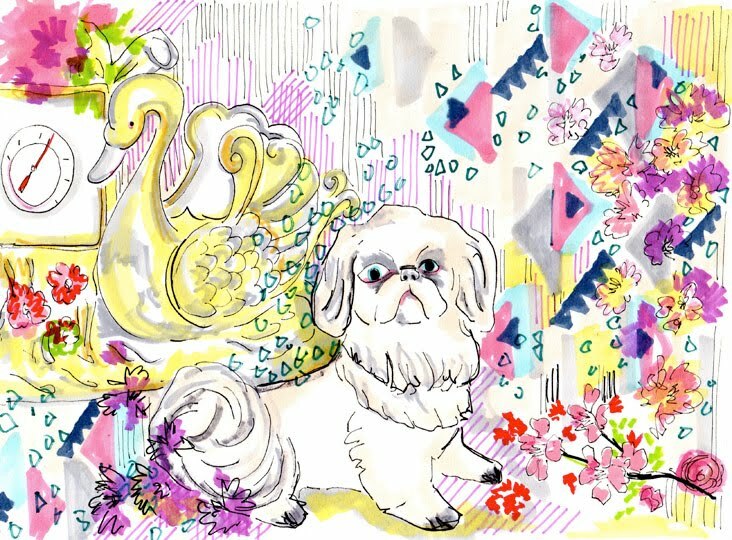 March 10, 2013 in "Dog Illustration", "Loved Ones", "Mothers Day"
Mothers Day. I've never really celebrated it. Well not in the true sense of the tradition. My mum, who is truly lovely by the way, doesn't go along with such things. Her religious beliefs mean that, birthdays and some other dates on the calendar aren't really acknowledged. Some people have thought this a shame in the past, as have I at times. Her thoughts on the matter are to appreciate loved ones, friends and family all the time. Which is actually extremely honourable of her, as she is someone that really does stick to her principles. And for this reason, she is one of a kind. A true inspiration to me, and I'm so happy that our relationship is as it is. Thanks for your support over the years and for being a wonderful friend.